It is not a new thing; indeed at the present it seems a positively over-done thing. Appropriation of Internet photography -specifically from Google street-view or Google maps- is acutely prevalent in current photographic and art practice. It may be said that there is far too much imagery littering both our virtual and actual environments already, and to react to this by producing yet more images only adds to the glut of imagery that is being critiqued in the first place. However this seeming contradiction of agendas can be beneficial to the work of a few. In order to make work that critiques the very thing that it eventually embellishes, the work must conceal its agenda behind deliberate layers of intersecting imagery and absolute conceptual rigour. The work must have entire conviction that it is not just another Google project. David Thomas Smith’s work Arecibo is a project that combines appropriated Internet imagery with an exploration into the history of humanity and evolution of civilisation. Using naturally occurring fallout colours from the creation of Google Maps, Smith uses thousands of jpegs to construct an image of a significant period in human history. Smith’s images, laced with the Arecibo message (a message broadcast into space in 1974), can be seen as the latest phase in human evolution where nothing is beyond the reach of documentation, publication and appropriation. Smith’s work addresses the evolution of humanity whilst being acutely aware that in creating this work, he is participating in the cutting edge of human civilisation. An abundance of imagery we may have created, constructing it in our own image we are guilty of too, but Smith, in a kaleidoscope of absorbing colour and form shows us how we have arrived at this current chapter in the history of humanity. 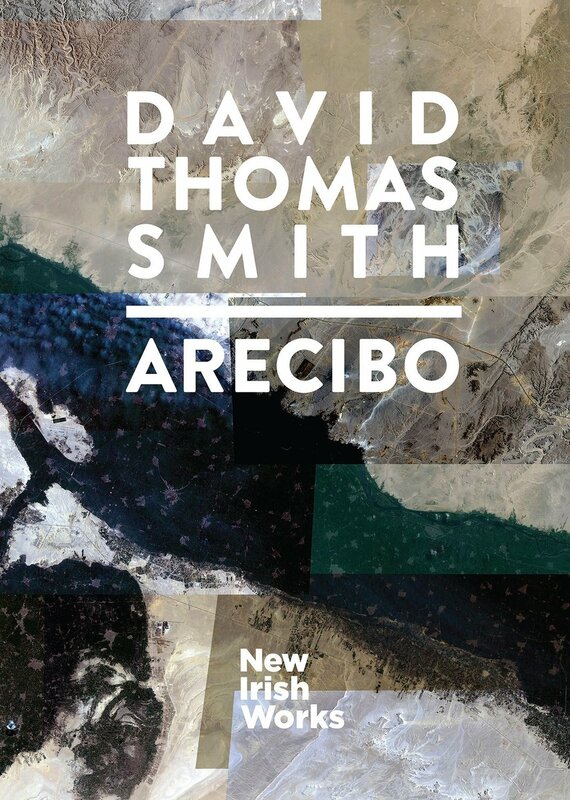 “In his series Arecibo, Dublin-based photographer David Thomas Smith (b. 1988) pays visual homage to that original message, and reflects on the birth of humanity, our growth and evolution. Selected by an international panel of 23 professionals, New Irish Works brings you a selection of 20 projects and 20 photographers representing the diverse range of practices coming from Ireland. New Irish Works 2016 is a year long project of 10 presentations and 20 publications that aims to highlight the great moment Irish Photography is experiencing.